Johns Hopkins Aramco Healthcare (JHAH), Johns Hopkins Medicine (JHM), and the American College of Physicians (ACP) invite you to join the annual multidisciplinary conference, Obesity, Diabetes and Hypertension: Emerging Strategies to Improve Cardiometabolic Health Conference, October 27-29, 2018 at the Le Meridien Hotel Al Khobar, Saudi Arabia. This conference will bring together leading academic scientists, researchers, and interdisciplinary practitioners to share their experiences and latest updates in prevention, diagnosis and management of patients with obesity, diabetes, dyslipidemia, hypertension, and associated chronic diseases. Attendees and faculty are invited to submit an abstract for consideration for the activity's Poster Hall. Instructions available on registration and abstract submission site. Apply increased knowledge, competence, and skills to the effective practice of prevention and management of obesity, diabetes, hypertension, and dyslipidemia. Discuss risk factors for, and the economic and health burden of, obesity and diabetes mellitus. Review current basic, clinical, and translational research targeting obesity, diabetes, and hypertension. Address misconceptions about obesity within the medical community. Assess recommended management models, United Nations target goals, and strategic public health resources that target risk factors for a cardiovascular event. Consult challenging cases with an interdisciplinary and international network of subject matter experts. The Johns Hopkins University School of Medicine designates this live activity for a maximum of 22 AMA PRA Category 1 CreditsTM. Physicians should claim only the credit commensurate with the extent of their participation in the activity. It is the policy of the Johns Hopkins University School of Medicine that anyone with the potential to control educational content globally disclose conflicts of interest. 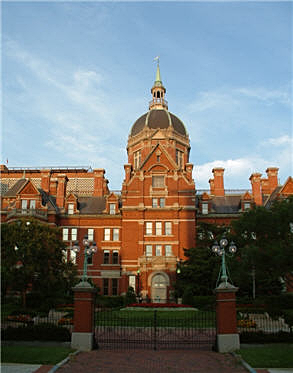 The Johns Hopkins University School of Medicine OCME has established policies that will identify and resolve conflicts of interest prior to this educational activity. Detailed disclosure will be made prior to presentation of the education.